Screenshot via nasimesabz.comA screenshot of a website promoted by an Instagram account that appeared to belong to Nasim Aghdam. Nasim Aghdam, the woman who authorities say wounded three people with gunfire at YouTube’s headquarters on Tuesday, seemed to have an active presence online. Images and videos uploaded to Instagram and YouTube accounts connected to Aghdam, who is believed to have killed herself during Tuesday’s attack, contained political messages and fitness tips – but also featured some heavy criticism of YouTube. Several of the social-media accounts – including Facebook and Instagram accounts and several YouTube channels linked to Aghdam – have been taken down. 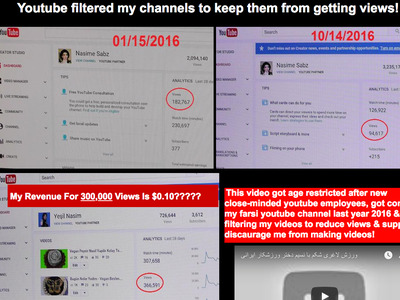 Her father, Ismail Aghdam, told The Mercury News “she was angry” at YouTube. The woman authorities say carried out Tuesday’s shooting at YouTube’s headquarters before killing herself appeared to have an active presence online. YouTube, Instagram, and Facebook accounts connected to the woman featured a wide range of content – including dancing, fitness tips, and commentary on veganism. 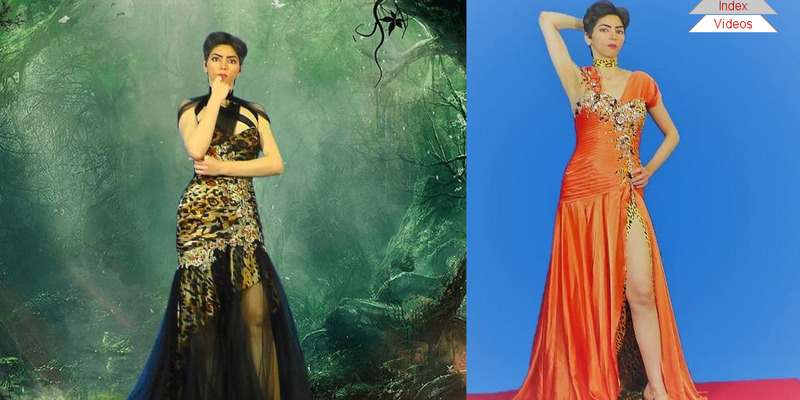 The police in San Bruno, California, identified the shooter as Nasim Aghdam, 39, on Tuesday night. 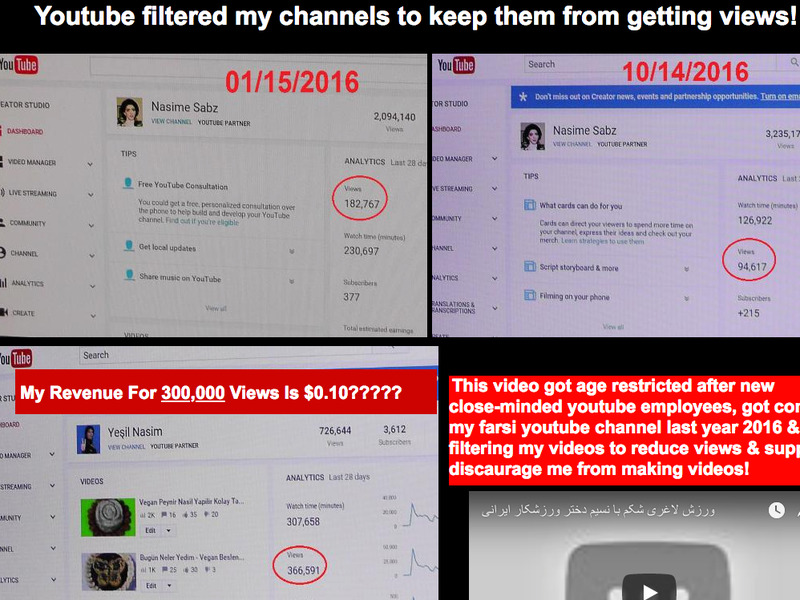 Aghdam had expressed some heavy criticism over YouTube’s move to demonetize certain channels. She took issue specifically with what she believed to be a targeted reduction in viewership on her videos. Aghdam also seemed to have engaged in some political speech. “BE AWARE! Dictatorship exists in all countries but with different tactics!” a website that appeared to be linked to Aghdam said. An Instagram account believed to be run by her had more than 16,000 followers before it was shut down. Aghdam, a resident of San Diego, drove from Southern California to San Bruno, the Bay Area home of YouTube’s headquarters, days before the shooting, the local news station KRON-4 reported. She is believed to have used a handgun to shoot three people before fatally shooting herself. A fourth person sustained injuries that were not gun-related.